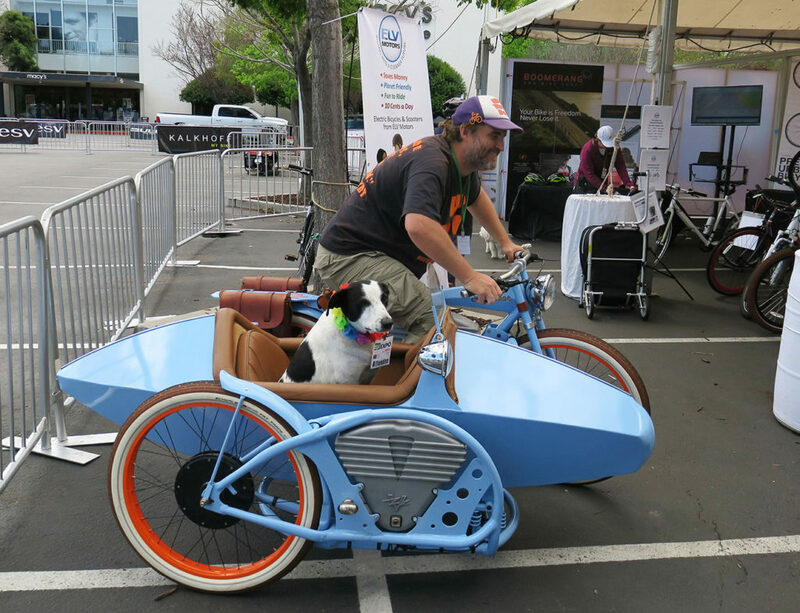 This event was designed around e-bikes and all the complimentary gear that goes with them. 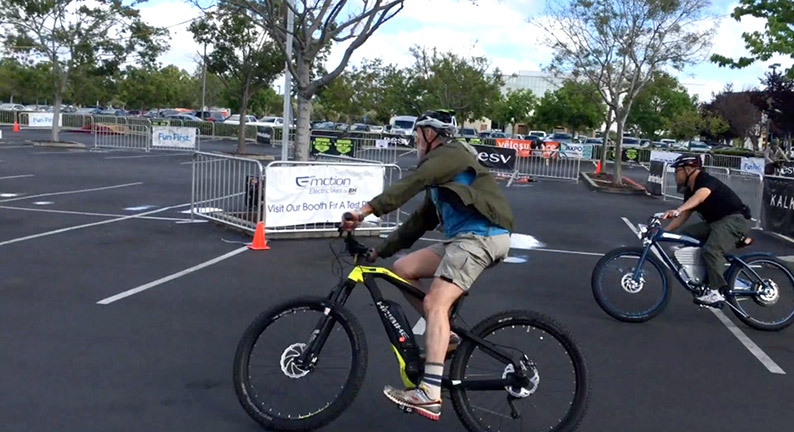 It was fun to test the latest innovations and people were grinning ear to ear on the test track in the specially protected Stanford Shopping Center parking area. All morning. All afternoon. All early evening! 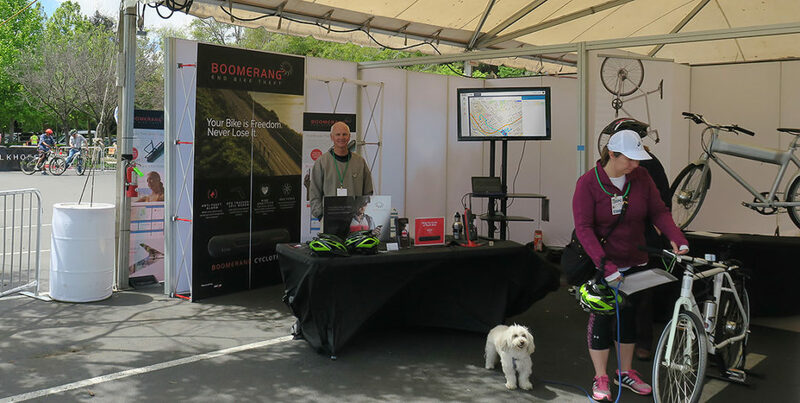 We knew it was going to be good event for us when 2 women came to the Boomerang booth and exclaimed, “There is no way we are buying an electric bike without one of these. When can we get one?” Many people came to the booth genuinely interested and stayed to listen to the benefits and how it works. One of the first questions is where do you put it on. Fortunately we have display that has the unit mounted on a short down tube with a bottle cage attached to it with a long theft-resistant screw going through the mounting holes and into the water bottle bosses. People were also interested in seeing the tracking system showing our customer Linkedin Corporation’s bike movements on the booth monitor. They were also able to track their own results from the test track. There was also a positive response to the new pricing plans – giving cyclists a choice to add a brand new level of security.